← Its Footy Tipping season again. If you see people wandering around your neighbourhood this Sunday wearing gloves and carrying white and yellow rubbish bags, feel free to jump in and lend a hand. These are people in your community, taking time out to Clean Up Australia. They may be in parks, sporting fields, at the beach, on bike tracks or along the side of the road. 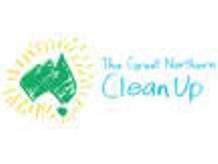 In 2011 more than 565,510 volunteers across 7,400 sites removed an estimated 16,464 tonnes of rubbish across Australia. And the best thing about those figures is that 80 per cent of the rubbish collected is recyclable. Clean Up Australia’s Chairman and Founder, Ian Kiernan AO, is confident that 2012 will be even bigger. “We’re urging all Australians to take notice of clean up hotspots in your local area and let us know where they are – whether you can help out on the Day or not,” said Mr Kiernan. Over the last 21 years an estimated 237,500 tonnes of rubbish have been removed from our environment on Clean Up Australia Day. But with every Australian still producing approximately 2 tonnes of garbage a year, we still have a long way to go.